The Palestinian government passed, on Tuesday, the draft law for the National Palestinian Institute for Economic Empowerment, and sent it to President Mahmoud Abbas for ratification, according to a statement issued by the cabinet, following its weekly meeting in Ramallah. The aim of the law, according to WAFA, is to support economic empowerment programs aimed at helping poor and marginalized Palestinians such as youth, women, young farmers and people with special needs at home in the diaspora. It also aims at strengthening the steadfastness of people in occupied Jerusalem and Area C of the West Bank which is under full Israeli control, while helping poor families in Gaza and the farmers to help them develop their agricultural resources. 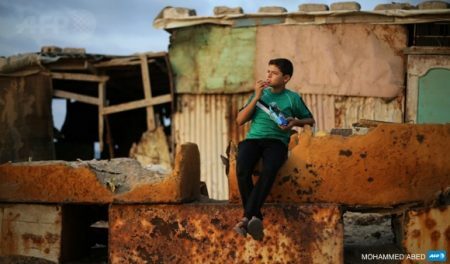 The United Nations had launched a $30 million Deprived families Economic Empowerment Program (DEEP) project, funded by the Islamic Development Bank and executed by the United Nations Development Program (UNDP) in partnerships with the Palestinian Authority with an aim to enable deprived families to move from receiving humanitarian aid to the establishment of productive projects that generate income for these families.